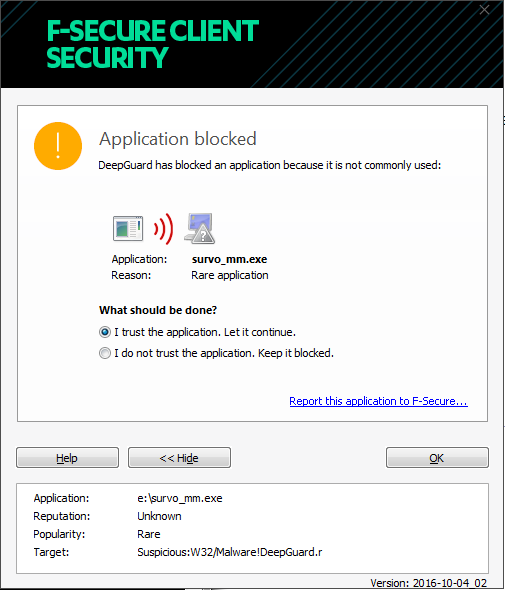 - I downloaded SURVO_MM from its webpage but my antivir (avast) is pointing in the presence of virus and block it. Is there a solution for that. - I installed successfully the muste package. I want to know if there is interaction and exchange of results from/to R and muste . Yes, you can for example copy Survo R (muste) data to R dataframes and R dataframes to Survo R (muste). FILE LOAD data TO R>dataframe     / Copy Survo data "data" to R dataframe "dataframe"
FILE SAVE R>dataframe TO data     / Copy R dataframe "dataframe" to Survo data "data"
dataframe <- read.svo("data.SVO")  # Read Survo data "data" to R dataframe "dataframe"
write.svo(dataframe,"data.SVO")    # Write R dataframe "dataframe" to Survo data "data"
There are also many other ways for interaction between Survo R and R, but these are something to begin with. 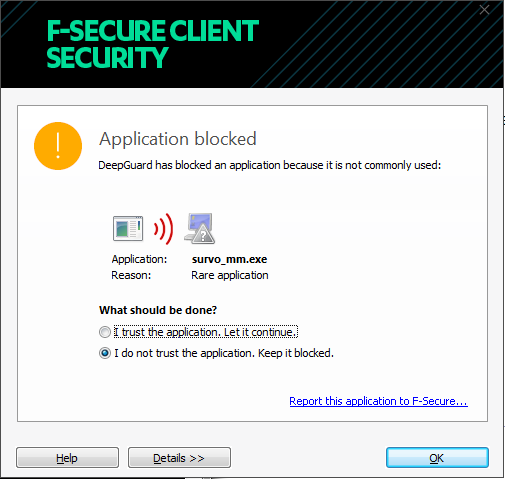 Re: Avast is blocking survo_MM? Actually, it is not because of a virus, but because of it looks suspicious otherwise ("rare"). 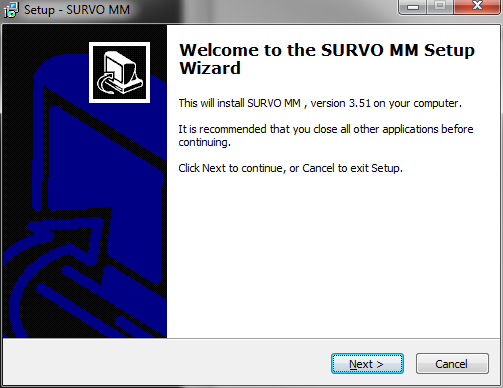 mean that some viruses are lurking when using SURVO MM. 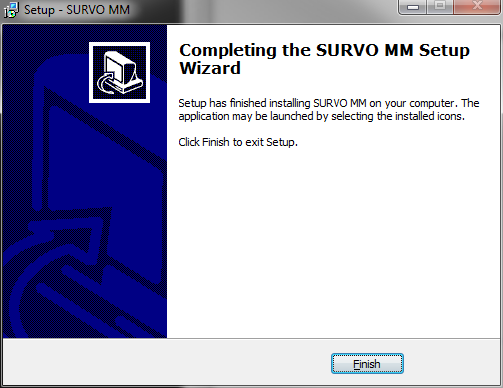 SURVO MM for plenty of years without any troubles related to viruses. to introduce an option "I trust the application. Always allow it." 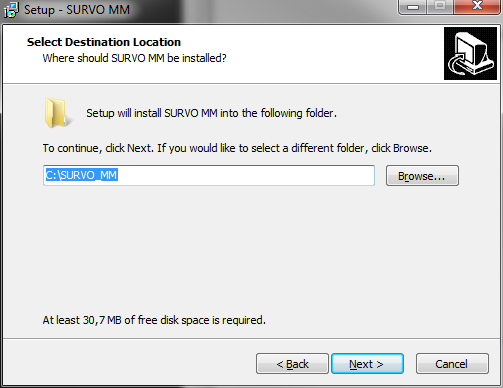 to accept SURVO_MM.exe as a trustworthy file. We're very sorry this has caused you and your company considerable inconvenience but we can at least say that we have looked into the respective file and our virus lab has deemed it safe. It will be updated in our database within the next 24 hours. As for your suggestion, we thank you and can assure you that the same has been passed on to our developers.